Fillings are a common procedure done to help repair and maintain a damaged tooth, and many of us still have the metallic fillings from a misspent dental youth in our mouths. Over the years these metal fillings have gone out of vogue in part due to the attractiveness and durability of composite fillings. These days getting a filling doesn’t mean you’ll have an unsightly silvery metal spot on your teeth, but instead means you’ll have a natural looking tooth nearly indistinguishable from your natural teeth. We’ll be honest, those old style fillings are, by and large, still available through most dental providers. 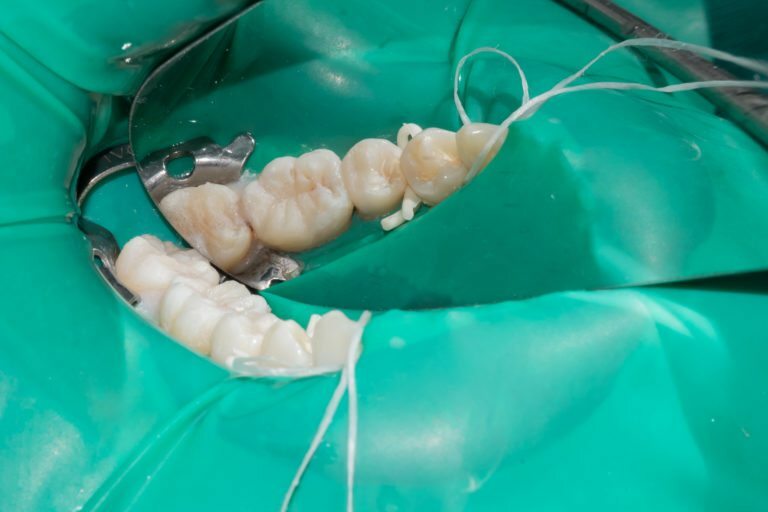 However, composite resin fillings are more durable and attractive than traditional amalgam fillings, but not all insurance companies cover them due to the additional expense. Resin composites run $134-$240 a tooth, a price that is $30-40 above the cost of amalgams, the cost variance is affected by the extent of the damage to the tooth and the amount of filling material needed. What Other Benefits Come With Composite Fillings? Composite fillings are comprised of a special blend of plastic and glass and are also known as white fillings due to their color. It’s this color that makes them less noticeable, and the material makes it bond to the teeth better, enhancing its strength and supporting it more fully. This helps to avoid the chipping that’s common with amalgams. Combine this with a more natural appearance and it’s no surprise many patients prefer the more attractive, long-lasting beauty of composite fillings. How Can I Avoid Needing A Filling? Good Dental Hygiene – Use fluoride toothpaste to brush your teeth twice daily. Flossing – Daily flossing is a vital part of maintaining good teeth, many fillings are needed when the space between your teeth get neglected in your daily routine. Diet – A balanced diet low in processed sugars and acids are important to long-term health. Regular Dental Visits – We all need to see our dentist at least twice a year to maintain healthy teeth. How Will I Know If Composite Fillings Are Right For Me? If you are experiencing dental discomfort and think you may be a candidate for filling you should speak to your dentist. They can help you determine if composite fillings are right for your dental needs, and can help you determine whether or not they will be covered by your insurance. Composite fillings can create a long-lasting and beautiful smile, even in cases where your teeth have been compromised by decay. Contact your dentist today for a consultation!